GALLERY. Anna & Yury Mirakov Art Gallery - Antiques. Modern Art. Framing. Fine Art Studio. The Anna & Yury Mirakov Art Gallery is a private gallery, located in the centre of Moscow. 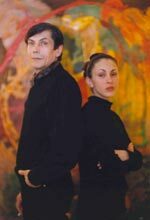 It was opened in January 1999, by Yury Mirakov, a member of the Artists’ Unions of Russia and Great Britain and his daughter, art critic Anna Mirakova. From the very beginning the Gallery owners have focused on popularizing works of Russian and West European art of the mid-20th century onwards. Over the past years the Mirakov Gallery held many exhibitions of works by recognized masters of both realistic and avant-garde art. 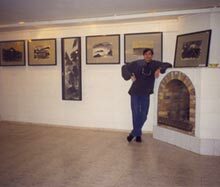 Among the artists whose works participated in these exhibitions were L.Bartenev, M.Brusiliovsky, A.Vlasenko, V.Volovitch, I.Vulokh, V, Grishchenko, B.Zhutovsky, A, Zverev, A, Kazantsev, B.Karafelov, A.Kozlov, H.Konysheva, L.Krapivnitsky, L.Borisov, Y.Mirakov, Y.Mironov, S, Miroshnichenko, V.Mishukov, S.Naumov, E.Neizvestnyi, D.Plavinsky, M. Romadin, Y.Rost, R.Safiullin, I.Snegur, V.Soldatkin, Y.Somov, Y.Sooster, K.Soshinskaya, and V.Yaroslavtsev. 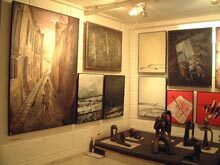 The Mirakov Gallery also organizes guest exhibitions, both commercial and charity ones, at various other venues. The Gallery possesses a considerable collection of art works representing various genres and styles -- from realism to avant-garde, from antiques to contemporary painting and sculpture. By bringing together many talented artists of different generations and styles, the Gallery makes a notable and welcome contribution to Moscow’s artistic life. All projects so far realized by the Gallery’s have been covered by the media: by national TV channels, various periodicals, specialized editions, and in the Internet.